Caffeine slumps are a thing of the past. 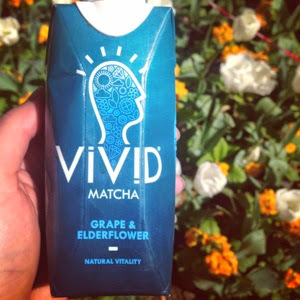 If like me you need a mid-morning pick-me-up that will last until lunch time, Vivid is the drink you should reach for. For the price of a small coffee, Vivid slowly releases energy without the crash due to its naturally occurring caffeine and high levels of antioxidants. It's also said to fuel mental and physical performance due to high levels of Matcha (ground green tea leaf powder which contains 157 times the antioxidants of normal green tea). With refreshing flavours such as pear and rhubarb or elderflower and grape, there's no need to order a Frappachino this summer. 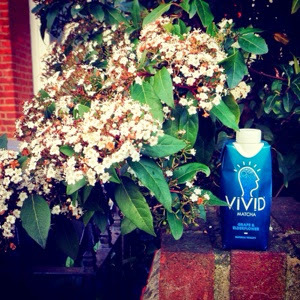 Vivid is available at Waitrose, Selfridges, Harvey Nichols, Amazon, Whole Foods, Planet Organic and independent retailers, RRP £1.85 per carton.